CHICAGO — In Michelle Obama's hometown, working women hustle back and forth from home to the office in stylish shoes they can walk fast and far in. 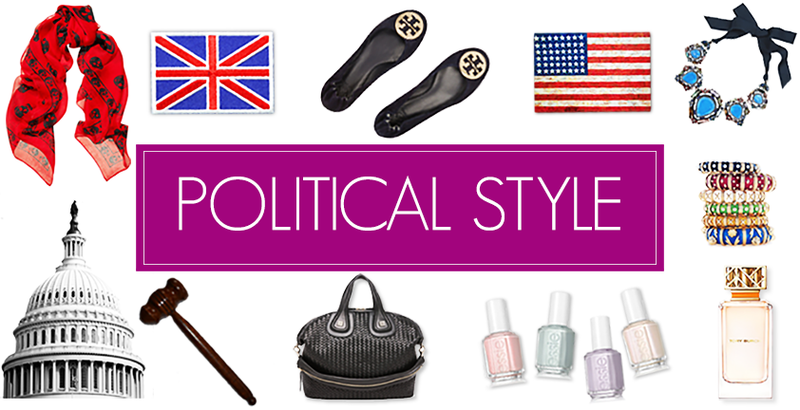 They wear chic but commonsense coats that keep them warm in the winters – and those famous sleeveless tops favored by the first lady in the summer. It's that Midwestern pragmatism with a cosmopolitan edge, personified by Mrs. Obama, that is shining a runway spotlight on Chicago's fashion scene, say style watchers, retail experts and fashion designers. "It shows you can fashionably be from Chicago," fashion designer Tommy Hilfiger said this month at a Chicago event where he was introduced as mentor for emerging young designers from the city. "You don't have to be from New York, Paris or Milan." Earlier this year, The Washington Post dubbed Chicago's fashion industry, home to Obama stylist and tony boutique owner Ikram Goldman and Maria Pinto, a favorite designer of the first lady, "The Milan of the Midwest." "Her (Obama's) fashion instincts and how she puts herself together are a direct reflection on fashion in Chicago," said Terry Lundgren, the chairman, president and chief executive of the national department store chain Macy's Inc.
Obama's style is pure Chicago: She favors comfortable but hardworking off-the-rack separates that reflect the city's down-to-earth roots and livable style. "She dresses like an urban working woman as opposed to dressing like a first lady," InStyle fashion director Hal Rubenstein said. "Chicago isn't showing off. Chicago is going through the day. She comes out there well-dressed but accessible." Her everywoman appeal is clear – note the spikes in sales of the Obama family's J.Crew outfits, for example – but Mrs. Obama is also drawing attention to new, under-the-radar talent. She's already been named a fashion icon by the Council of Fashion Designers of America. Obama largely puts her confidence in Chicago's designers to guide her White House style, Rubenstein said. Goldman's boutique ikram in the city's Gold Coast district is a favorite of the first lady. "Her hotline is not going through New York," Rubenstein said. "Her hotline goes through a place where she feels comfortable. She trusts this voice from her hometown. It's not about, 'I have to get a Washington D.C. coordinator to find out what to wear to a state dinner.'" And the source of Obama's fashion inspiration is enjoying a newfound respect for its designers and boutiques. The style-conscious sets in California, New York and Europe now pay attention to Chicago, said Barbara Glass, a Chicago fashion commentator and image consultant. The city had been viewed as having conservative taste. Its previous run as a fashion capital came and went in the early 20th century when it was home to many menswear manufacturers. At one time, "people weren't necessarily impressed if it was a Chicago designer," Glass observed. "It didn't have a good ring to it. She's changed that." Now, shoppers are seeking out the designers behind the first lady's signature style. "They'll ask me, 'Is this something Michelle Obama would wear?'" said Melissa Serpico Kamhout, 32, describing the clientele at her boutique, Serpico, in the Wicker Park neighborhood. A particular pale blush-colored dress caught a lot of customer eyes, she said. "A lot of people have mentioned they think it would be a beautiful color for her," Kamhout said. "You can tell how influential she is. It's on their minds what designers she wears." Although a major one, Obama is just a single factor in the growth of Chicago's fashion scene, said Beth Wilson, Chicago correspondent for Women's Wear Daily. In 2006, Mayor Richard Daley convened the Mayor's Fashion Council to put support behind the city's designers. Two years later, the city partnered with Macy's to form the Chicago Fashion Incubator to give young designers space and training for their work. "That started creating momentum and awareness," Wilson said. Both Chicago and Obama set fashion standards for themselves that are acceptable to most of the world, Glass added. "The Midwest is all about no nonsense," she said. "She maintains that philosophy. We are not about glitz. We are not fluff, but we do enjoy looking glamorous and pretty." WASHINGTON — The Senate Judiciary Committee on Tuesday voted to approve Sonia Sotomayor as the first Hispanic Supreme Court justice over nearly solid Republican opposition, paving the way for a historic confirmation vote. The panel voted 13-6 in favor of Sotomayor, with just one Republican, Sen. Lindsey Graham of South Carolina, joining Democrats to support her. The nearly party-line tally masked deeper political divisions within GOP ranks about confirming President Barack Obama's first high court nominee. "I'm deciding to vote for a woman I would not have chosen," Graham said. Obama's choice to nominate the first-ever Latina to the highest court is "a big deal," he added, declaring that, "America has changed for the better with her selection." The solid Republican vote against Sotomayor on the Judiciary panel reflected the choice many GOP conservatives have made to side with their core supporters and oppose a judge they charge will bring liberal bias and racial and gender prejudices to her decisions. Others in the party, however, are concerned that doing so could hurt their efforts to broaden their base, and particularly alienate Hispanic voters, a fast-growing segment of the electorate. "There's not one example – let alone a pattern – of her ruling based on bias or prejudice or sympathy," said Sen. Patrick Leahy, D-Vt., the Judiciary Committee chairman. "She has administered justice without favoring one group of persons over another." Republicans pointed with particular concern to Sotomayor's record on gun and property rights, as well as a much-discussed rejection by her appeals court panel of the reverse discrimination claims of white firefighters denied promotions. The National Rifle Association is opposing Sotomayor and took the extraordinary step last week of warning senators that it would include their votes on her confirmation in its annual candidate ratings, meaning a "yes" vote would hurt their standing. "Some of her decisions demonstrated the kind of results-oriented decision-making, one that suggests perhaps a liberal judicial activism that has too often steered the court in the wrong direction over the last years," said Sen. John Cornyn, R-Texas. And every GOP senator alluded critically to the now-infamous remark Sotomayor made in 2001 that she hoped a "wise Latina woman" would often reach better conclusions than a white male without similar experiences. "I regret that I cannot vote for her ... not she's a Latina woman (or) because she said all those things, (but) because she wouldn't defend what she said, and stand up and say, 'I really believe this, but I can still be a great judge anyway, because I will never let that interfere with my judging,' " said Sen. Tom Coburn, R-Okla.
July 21st: Michelle Obama staged a movie night last night at the White House. The First Lady invited a few friends, staffers and stars, to the private screening room for Julie & Julia, the upcoming biopic of Julia Child and Julie Powell, the blogger who cooked every recipe in Child’s Mastering the Art of French Cooking. She invited Meryl Streep, Amy Adams and Stanley Tucci, plus the film’s writer-director Nora Ephron to watch with her. After purchasing my two Longchamp's this month I was especially excited to see this limited edition online, designed by Jeremy Scott. 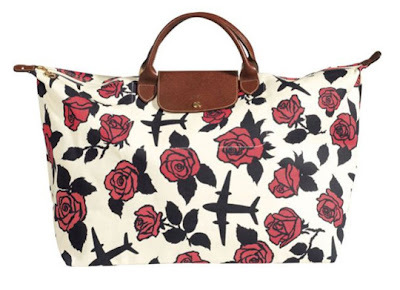 Perfect for summer and travelling, I just love the floral print, complete with aeroplanes! House Speaker Nancy Pelosi said Thursday that she doesn't feel bound by the $235 billion in deals that the White House and the Senate Finance Committee cut with hospital and pharmaceutical companies to defray costs of a new health-care plan, stating that she thinks the industries could do more. "When we're trying to cut costs, certainly we know that there are more costs to be cut in hospitals and pharmaceuticals. . . . So we'll be subjecting everything to some very harsh scrutiny as we see whether we can get more savings," Pelosi said in a late-afternoon interview, shortly after she left a marathon negotiating session with White House Chief of Staff Rahm Emanuel and conservative "Blue Dog" Democrats, who have put the brakes on the House version of the health-care reform bill. "As we look, there may be some more ways to get money out of pharmaceutical companies." The nation's hospitals have agreed to forgo $155 billion in government health-care reimbursements, and drug companies promised $80 billion, to help keep the cost of President Obama's health-care reform plan under $1 trillion. Pelosi said she is eager to see the Senate's version, which is currently held up in the Finance Committee, and she indicated she is sympathetic to House Democrats' concerns about voting on a bill before the Senate shows its hand. Conservative Democrats say privately that they worry about being asked to spend political capital by voting for a measure far too liberal for their districts -- when the final bill hashed out by the House and Senate could be dramatically different. "That's fair. That's fair," she said. "And I don't think the bills will be that dramatically different. Now, we don't know the rest of the Senate proposal, and we're eager to see that, but the House sets the pace at ground zero a good deal of the time." Asked if she could accept a final bill that didn't have a "public option" -- or government-run health insurance plan -- she said, "I don't think so." "But it has to be a level playing field," she added. "It has to be an option that is administratively sound -- actuarially sound, too -- and that it's sustainable in every way, has to pay back to the government any start-up funds that it has, so that it can be a true competitor and not a subsidized entity." Pelosi declined to comment on the negotiations, which ended Thursday without a deal. She dismissed the notion that some House members are skittish about voting for health-care reform because they are already facing a hard time in their districts over their recent votes supporting energy legislation. Republicans have framed that issue as a tax increase. "The Chinese have an expression: 'Shoot the chickens to scare the monkeys.' They use one issue to scare you on another issue, and I don't think they're scaring our members," she said. "I think they, many of them, are just taking a good, hard look at what is in the [health-care] bill, have we squeezed the cost out that we can, and that's very fair. We all want to do that." Whilst in London earlier this week, I stopped by the Lauduree shop in Burlington Arcade. 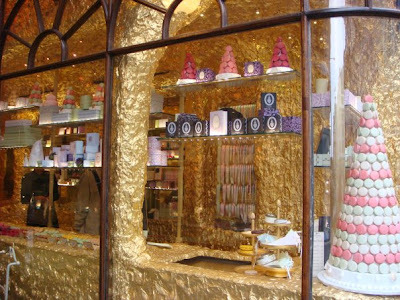 I was immediately transported back into the glorious atmosphere of Paris, where the sites and smells of the delicious macaroons brought back sweet memories of my summer there three years ago. Always tempted, this time I purchased a chic Laduree bag to carry my books to and from university as I begin my final year. 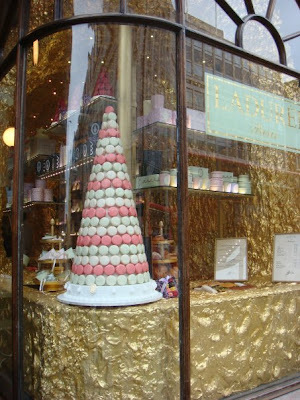 What are your Laduree experiences? Walter Cronkite, the legendary TV news anchor once known as the "most trusted man in America," has died at the age of 92. Cronkite anchored the CBS Evening News from 1962 to 1981 with his trademark sign-off, "And that's the way it is..."
"When I think of Walter Cronkite, I think of his high journalism standards, integrity - but most of all his humanity. I think he was so trusted because he exhibited a sense of purpose and compassion, night after night. He was the personification of excellence." "He was the defining anchor of America's story - reminding us of what we can be at our best. He had depth, foreign reporting experience, endless excitement about the news, and an irresistible irreverence. A call, a note, a compliment from Walter was pretty much the Nobel Prize for a young reporter. I am so lucky to know what it was to be part of the Cronkite team." "There never was and there never will be another Walter Cronkite. We trusted him and that trust was well founded. He was also a jolly and supportive friend. He will be missed by each of us individually who knew him and by the whole country who loved him." America has lost an icon, our industry has lost its living giant, and all those who learned about the world from Walter Cronkite have lost an exceptional teacher. He loved his country and had a profound effect on it. He told us the truth in a plain-spoken manner. He never forgot that he was one of us, and yet we admired him so. That's why I can't help but fear that his loss means we've lost a tiny bit of who we are. He was a founding father of our profession. Others had done the job before him, and yet no one before or since has had just a mystical hold on the American people. He perfectly reflected his audience and our times. Watching Walter do what he did -- better than anyone -- was a formative experience. While he was deeply uncomfortable with overstatements of his own importance, those of us watching at home were so comfortable knowing he was in that chair during those years of great change and upheaval. To use the terminology of his beloved sailboat, he was our national barometer, our compass and our rudder. With Walter at the helm of that broadcast, we knew we would sail through whatever crisis we faced as a country. He always seemed to point the wheel, with a gust of wind in his sails, toward our collective North Star. On a personal note, Walter Cronkite was the man I grew up wanting to be. Our household, like many, came to a halt when his broadcast came on the air each night, and dinner was served only after he said good night. Knowing Walter was among the great blessings of my life. In a recent article in Forbes magazine, four of Washington Speakers Bureau’s world-renowned journalists were named to the first-ever list of the Most Influential Women in Media. WSB congratulates Meredith Vieira, Arianna Huffington, Katie Couric and Christiane Amanpour on this significant recognition. Many people had the pleasure of hearing John Quincy Adams speak during the 17 years that he served in Congress, but Steve Livengood of the U.S. Capitol Historical Society says he’s had that privilege much more recently — more than 150 years after Adams’ death. In fact, Livengood claims to have seen the ghost of the sixth president giving a speech in the Old House Chamber. He’s not the only one to see ghosts. During the day, Capitol Hill is filled with hustle and bustle. But after the flocks of interns, pages and staffers make their way home, some say the spirits of the oldest and most respected politicians (and other Hill types) stick around. In fact, some people say ghosts reign supreme over the Hill after the sun goes down. Various witnesses have reported hearing and encountering spirits late at night. They tell stories that would make any Hill staffer avoid being the last to leave the office. One of the most frightening and infamous apparitions on Capitol Hill is the “demon cat,” affectionately referred to as “DC,” probably by those who have not encountered what is reported to be a terrifying tiger-sized black cat. Mostly seen by lone security guards on patrol in the Capitol building late at night, the demon cat tends to appear before national tragedies. It allegedly appeared before the assassinations of Presidents Abraham Lincoln and John F. Kennedy. Livengood, chief guide and public programs manager for the Capitol Historical Society, has heard a lot about the demon cat in his time at the Capitol. He has worked in Congress since 1965 and says he has seen and heard various spirits throughout the building. Even so, he’s quick to debunk the legend of the frightening feline. According to Livengood, in the early 19th century, there were still cats roaming around the Capitol, brought in to take care of a rat infestation problem. After the rats were removed, a few cats seemed to have stayed behind. Also at this time, the Capitol Police force was notorious for hiring underqualified friends of Congressmen as favors. Donnald Anderson, former Clerk of the House and chief historian of the Capitol Historical Society, says the reported footprints of the demon cat are indeed feline footprints but were left there when a stray walked across the wet cement on the floor of the Rotunda. Many people claim to have seen the cat. There is a common story of one security guard who, while doing his rounds, walked alone in a hallway and came upon a small house cat. All of a sudden, it started to grow and growl at the guard. The guard stood frozen in shock and fear, and just as the cat ran toward him and pounced, it disappeared. Other lesser-known spirits also roam Capitol Hill. A friendly police officer is said to inhabit the Library of Congress and aid visitors who get lost in the stacks. According to E. Ashley Rooney, co-author of “Washington, D.C.: Ghosts, Legends and Lore,” the clinking of chains and screams can be heard on Independence Avenue between Seventh and Ninth streets, where the Robey and Williams slave pens operated throughout the 19th century. Livengood says the slave pens were the “ugliest” place in Washington. The White House is a favored hangout for many executive spirits, including ex- presidents. Lincoln is the most active of these spirits and is said to roam the hallways and, appropriately, the Lincoln bedroom late at night while most of the residents are sleeping. Many former presidents, including Harry Truman and William Henry Harrison have deemed themselves “believers” after hearing unexplainable noises and footsteps in the second floor hallway of the White House. Abigail Adams is allegedly also still an active presence in the White House. The former first lady is seen carrying a laundry basket around the hallways and standing in the East Room, where she hung her laundry. According to the White House Historical Association, Abigail Adams chose the East Room because it was the driest and warmest room in the house. To this day, the smell of soap follows her spirit through the house. The historic Hay-Adams Hotel has been host to the ghost of Marian “Clover” Hooper Adams, wife of writer Henry Adams. After she committed suicide in her house, now home to the hotel, many say her weeping spirit still remains. Housekeepers and staff have reported feeling that they were being hugged or have heard a woman crying late at night in the hallways of the upper stories. The White House Historical Association and organizations around the city, such as the Washington D.C. Metro Area Ghost Watchers and DC Tours, have taken advantage of the rising popularity of hauntings and spiritual activity. Around Halloween, many “ghost walks” are available to those looking for a good story and the allure of possibly having a personal paranormal experience. There are many who believe these stories are a matter of happenstance and optical illusion. Anderson, for example, says he has never run into any spirits while working in the Capitol. “All the years I worked there, I never encountered any ghosts, even late at night,” he said. CIA Director Leon Panetta told lawmakers in a recent briefing that the intelligence agency he heads misled Congress on "significant actions" for a "number of years," a group of Democrats revealed on Wednesday. In a letter written to Panetta on June 26 by seven Democratic members of the House Intelligence Committee, the CIA chief is urged to "publicly correct" an earlier statement he made in which he insisted that it was not agency policy to mislead Congress. As the letter details, Panetta apparently acknowledged in an earlier briefing that this statement was not, in fact, true. "Recently you testified that you have determined that top CIA officials have concealed significant actions from all Members of Congress, and misled Members for a number of years from 2001 to this week," the Democratic lawmakers write. "This is similar to other deceptions of which we are aware from other recent periods." The letter does not explain what those "significant actions" were. But a source with knowledge of the dispute says it concerns Bush administration interrogation policies. Panetta briefed the Intelligence Committee about these and other matters two days before the letter was written, as well as other dates. Early reports on the matter said that the letter was signed by six Democratic lawmakers: Anna Eshoo, D-Calif., John Tierney, D-Mass., Rush Holt, D-N.J., Mike Thompson, D-Calif., Alcee Hastings, D-Fla. and Jan Schakowsky, D-Ill. (These are the members who signed the above document). A source with direct knowledge of the letter's content says that Rep. Adam Smith D-Wash., has also added his name to the letter. The note was made public just hours after Congressional Quarterly reported that the chairman of the House Intelligence committee, Rep. Silvestre Reyes, D-Texas, also stated that the CIA had "affirmatively lied" to his committee. The CIA, in a statement from spokesman George Little, pushed back on these dual allegations. "It is not the policy or practice of the CIA to mislead Congress," Little said. "This Agency and this Director believe it is vital to keep the Congress fully and currently informed. Director Panetta's actions back that up. As the letter from these six representatives notes, it was the CIA itself that took the initiative to notify the oversight committees." Nevertheless, the late-evening stories provide a boost to earlier claims from House Speaker Nancy Pelosi that she was drastically misled by the CIA when it was briefing members about the Bush administration's enhanced interrogation techniques. They also threaten to rip open the debate on whether Congress should revamp the process of how it is briefed on covert intelligence. The Obama White House on Wednesday said it would veto any legislative effort to change the current structure of the briefings, which limits the session to only the "Gang of Eight" lawmakers. Pelosi and her allies want to give the Intelligence Committee the authority to determine who is briefed on the critical intelligence. In what was perhaps a fitting tribute for the King of Pop, thousands attended a memorial service at the Staples Center in LA. Millions more watched around the world as the golden casket of Michael Jackson was wheeled center stage, surrounded by his family and the lucky 17,000 ticket holders. Musical tributes came from Mariah Carey, John Mayer, Jennifer Hudson, Lionel Ritchie, Stevie Wonder, and Jackson's own brother Jermaine. Brooke Shields, the Rev Al Sharpton and Congresswoman Sheila Jackson Lee spoke in a tribute which lasted over two hours. Perhaps the most poignant of the line-up was the finale- Earth Song and Heal the World, with the Jackson family joining the performers on stage. This followed with a tribute by Jackson's daughter, Paris which was the most emotional part of the entire evening. I only hope that the King of Pop can now rest in peace. Alaska Gov. Sarah Palin is expected to announce Friday that she will not seek a second term, a Republican source close to Palin tells CNN. Palin has scheduled a 3 p.m. ET news conference at her home in Wasilla. The governor’s office offered no further details about the subject of the news conference, but the sources tells CNN that Palin will announce her decision to forgo another run. As the 2008 Republican vice presidential nominee, Palin is considered one of the frontrunners for the GOP nomination in 2012. Her decision not to seek another term as governor is sure to stoke speculation that Palin is seriously eyeing a run for the White House. LONDON — British researchers have announced the discovery of a rare original copy of America's Declaration of Independence _ just in time for the Fourth of July. Katrina McClintock, a spokeswoman at the National Archives, said Thursday that a researcher accidentally discovered the "Dunlap print," named after a printer, several months ago. The find was announced only after it could be properly catalogued. Edward Hampshire, the National Archives' specialist in colonial materials, said the find was "incredibly exciting." "It is likely that only around 200 of these were ever printed, so uncovering a new one nearly 250 years later is extremely rare, especially one in such good condition," he said. He said the declaration is one of the most important documents in history because it marks the birth of the United States. The last Dunlap print to be found was sold at an auction for $8.14 million in 2000. National Archives officials said they weren't sure how the Declaration of Independence copy ended up there. Archives spokeswoman Frances McDarby said it was "possible that an American coastal vessel was intercepted by the British navy and that is how the document was able to come into our possession." The prints, known collectively as the Dunlap Broadside, were the first copies of the Declaration of Independence. They were printed by John Dunlap of Philadelphia and distributed to political and military leaders, including George Washington, and dispatched throughout the colonies to be read to the public.